Calcula a data prevista do nascimento de seu bebe, alem de fornecer diversas informacoes sobre cada semana de gestacao. Um aplicativo excelente para a gravida acompanhar passo a passo o desenvolvimento do filho que esta para chegar. Calculates the expected date of birth of your baby, and provides various information about each week of gestation. 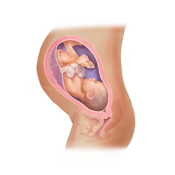 An excellent application for pregnant women keep pace with the development of a child who is about to arrive.